Explore Sydney's surroundings by going to Hawkesbury Regional Museum (in Windsor), Cathedral of Ferns Walk (in Mt Wilson) and Katoomba (Blue Mountains, The Three Sisters, & more). Spend the 11th (Sat) exploring nature at Sydney Harbour National Park. Spend the 27th (Mon) exploring nature at Berowra Valley National Park. Next up on the itinerary: kick back and relax at Bondi Beach, see the interesting displays at Australian National Maritime Museum, stroll through The Opera House to the Botanic Gardens Walk, and catch a live performance at Sydney Opera House. To find more things to do, reviews, ratings, and other tourist information, you can read our Sydney route site . 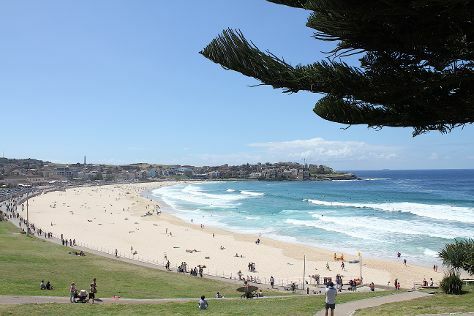 May in Sydney sees daily highs of 24°C and lows of 14°C at night. Cap off your sightseeing on the 10th (Mon) early enough to travel back home.